The isolated Vitamin C found in ordinary supplements is rapidly lost from the body, but True Food C sustains Vitamin C levels in the blood for well over 8 hours, and has a much greater antioxidant power than regular Vitamin C supplements. As a guide, one tablet of True Food C replaces a standard 1000mg isolated source of Vitamin C.
Vitamin C is required for the support and maintenance of tissues in all parts of your body. It is necessary for the healthy natural formation of collagen, an important protein used to make skin, scar tissue, tendons, ligaments, and blood vessels. Vitamin C is essential for the supporting the body and for the maintenance of cartilage, bones, and teeth. Vitamin C is one of many antioxidants. Vitamin E and beta-carotene are two other well-known antioxidants. Antioxidants are nutrients that help support and maintain health and help maintain a youthful appearance. A healthy heart and cardiovascular system. The body does not manufacture vitamin C on its own, nor does it store it. It is therefore important to include plenty of vitamin C containing foods in your daily diet or as a supplement for guaranteed, measurable, dosage. Proprietary mixture: vitamin C, citrus bioflavonoids with enzyme digested Saccharomyces cerevisiae (with soya); natural Lithothamnion calcarea; bulking agent: microcrystalline cellulose; anti-caking agents: silicon dioxide, magnesium stearate**; caoting: methylcellulose, glycerine, natural vanilla flavour (agave syrup; flavour: natural vanilla extract; colour: caramel). Adults: Take 1-3 tablets a day, with or between meals, or as your health professional advises. Children over 8 years: Take 1-2 tablets a day, with or between meals, or as your health professional advises. Below are reviews of True Food C - Vitamin C - 30 Tablets by bodykind customers. If you have tried this product we'd love to hear what you think so please leave a review. Question about True Food Vitamin C - 180 Tablets Are the True Food supplements suitable for those with an intolerance to yeast? 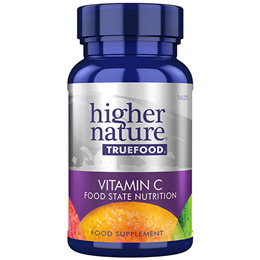 Question about True Food Vitamin C - 180 Tablets Are the nutrients in the True Food range synthetic? Question about True Food C - Vitamin C - 90 Tablets Are the True Food supplements suitable for those with an intolerance to yeast? 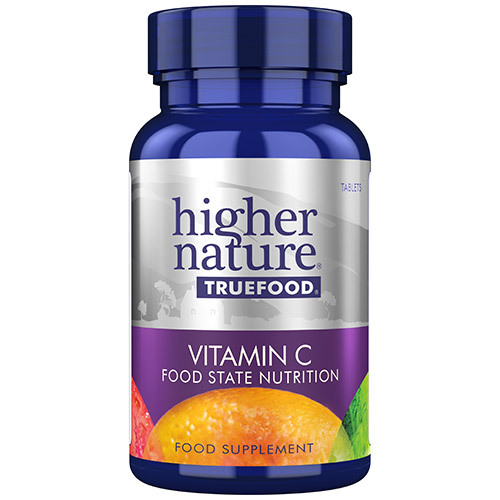 Question about True Food C - Vitamin C - 90 Tablets Are the nutrients in the True Food range synthetic? Question about True Food C - Vitamin C - 30 Tablets Are the True Food supplements suitable for those with an intolerance to yeast? Question about True Food C - Vitamin C - 30 Tablets Are the nutrients in the True Food range synthetic?